Here&apos;s your Dream Farm!! 30 acres m/l of peace and quiet!! Home and buildings sits on 4 acres m/l plus an additioinal 26 acres of fenced in pasture for cows/horses. There is 970 ft of vinyl fencing and high tensile fencing for entire pasture installed in 2005. Pole building is 192 x 60, 24 x 24 office plumbed for a bathroom with water and electric could be used for livestock, farmers shop/feed/seed dealer or RV storage. 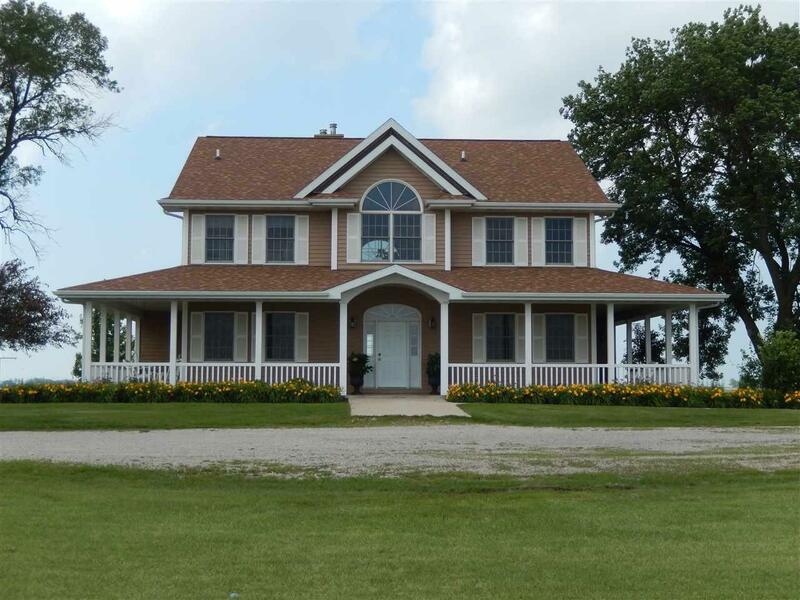 2 Story home built in 2004 has over 5, 00 sq ft finished, 5 bedrooms, 3.5 baths, massive great room with wood flooring, vaulted ceilings, fireplace and access to deck overlooking the pasture!! Main floor offers an office with built in book cases, master suite with bath and walk in closet, main floor laundry room with a sewing area. Upstairs has breath taking views of the property!! 4 Good sized bedrooms, bath and family room for the children!! Basement level offer a bath, family room with fireplace, another dining area, possible 6th bedroom (no egress) and walk out basement to the patio. Homes has upgraded features such as on demand well, steel siding, hardwood flooring, walk in pantry in kitchen and wrap around covered porch!! This home can be purchased with 4 acres only at a lower price. Qualified Buyers only please! !